Rebelle 3 - download in one click. Virus free. 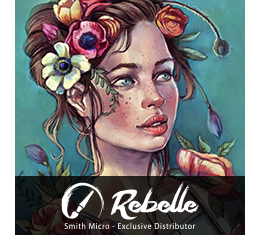 by Smith Micro Software, Inc.
Download the latest version of Rebelle 3 with just one click, without registration. It is a standalone setup package that contains the full offline installer for Rebelle 3. 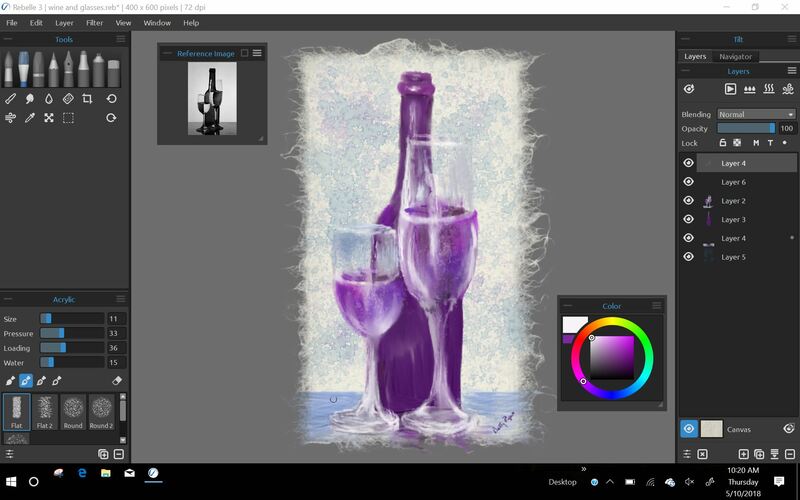 Rebelle 3 is a program for painting that provides digital artists with realistic-looking tools, such as watercolor, acrylic paint, other wet or dry media. The program allows using such realistic media effects as color blending, wet diffusion, and paint drying. Rebelle 3 is equipped with a bunch of brushes that simulate paint diffusion of the used materials: wet and flowing colors for watercolor brushes, smudge and layered colors for marker ones. The program also reacts to tablet tilting, so you can use the physical move to watch digital colors flow on the tilted canvas. Pen tilting is supported, too, which can create incredible effects with flat brushes. And, of course, like any modern painting tool, Rebelle 3 supports pen pressure. Then, the latest version of Rebelle provides its users with the most realistic papers and canvases. It supports a number of watercolor papers and background textures - and used media behaves differently on all of them, like in a real world. Finally, Rebelle 3 is equipped with a Drop Engine feature that simulates flowing and dripping watercolors on various paper types depending on the amount of water, canvas settings, and degree of canvas tilting. In addition to this unique functionality, Rebelle 3 has the same previewing and sharing options like most of the painting programs, so it is easy to switch between them. For example, the latest version has a separate panel for a reference image that can be placed anywhere on the screen to be your visual guide. Or you can open a preview panel to see the whole picture while working on the details, so you don't have to zoom in and out all the time. 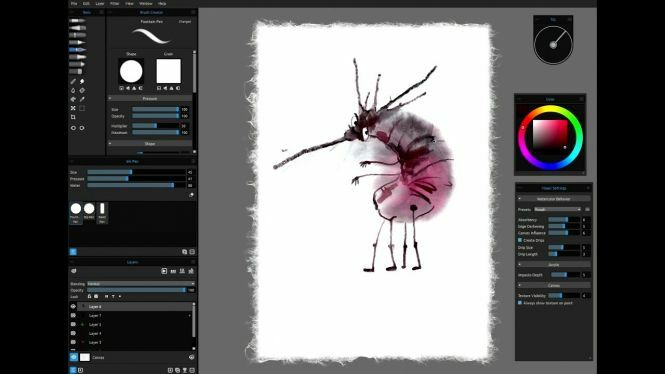 All in all, Rebelle 3 is a unique and fascinating painting program that blurs the line between traditional and digital art - so check out this free download and see how inspiring Rebell can be for you.